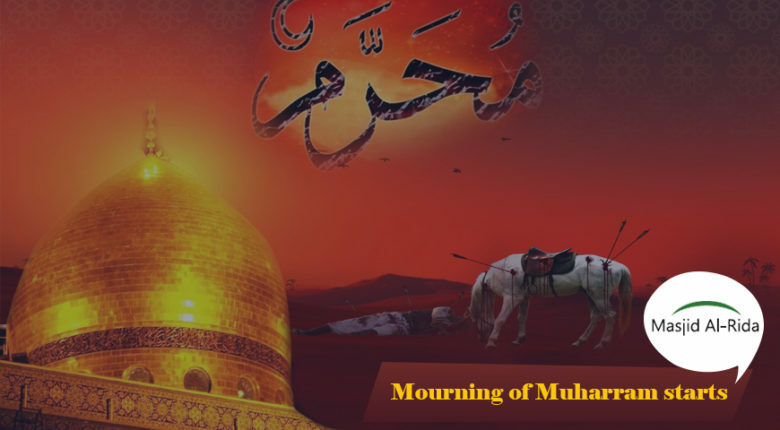 Masjid Al-Rida invites our community to commemorate and actively participate in the Nights of Muharram, the tragedy of Ashura and the martyrdom of Imam Hussein (AS). 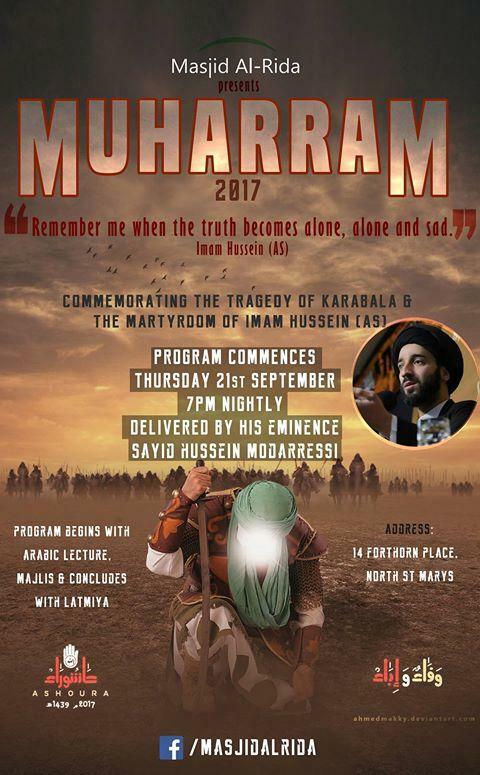 Nightly programs from the 21st September will commence nightly from 7 pm with an Arabic lecture delivered by his eminence Sayid Hussein Modaressi followed by a Majlis (Arabic with some English) and concluding with Latmiya. InshaAllah all of you will enjoin in this significant event and invite your family and friends. May Allah (swt) accept your efforts and increase your rewards.